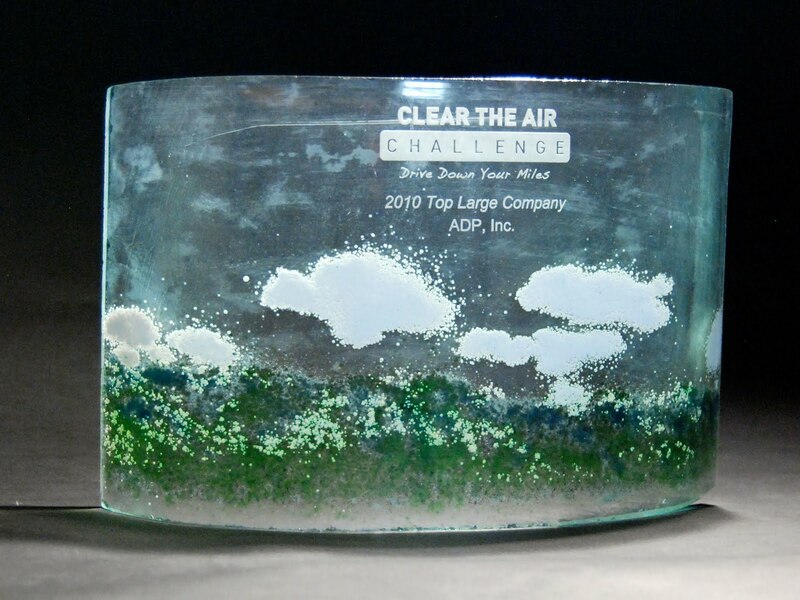 Recently, I was lucky enough to be able to make the awards for the top three companies for the Clear the Air Challenge. 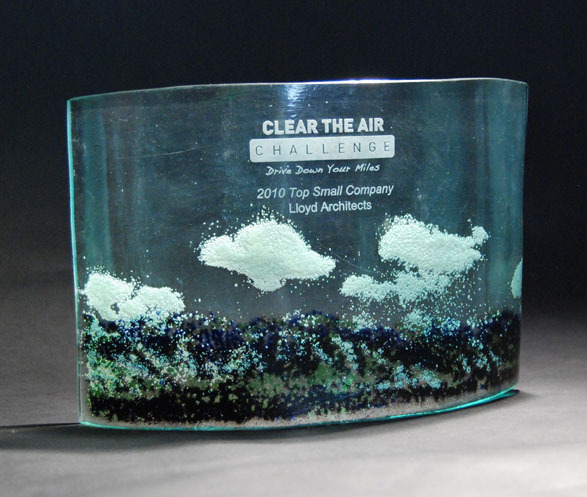 The proposed award would be made with 3/8″ thick recycled glass bent into a gentle curve about 12″ wide by about 6″ high. 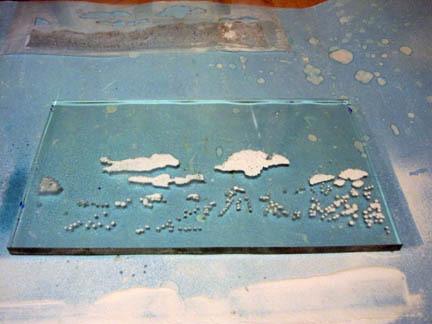 We would use the logo of the program and do a pseudo-screen print on the glass. The winners names would be engraved on the front after the ceremony. 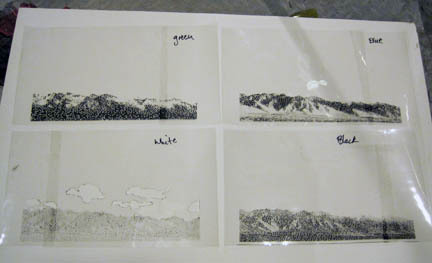 Using the original photo and some photoshop magic, I separated the colors into four color “plates” that would be used as stencils to apply the colors individually, in order. 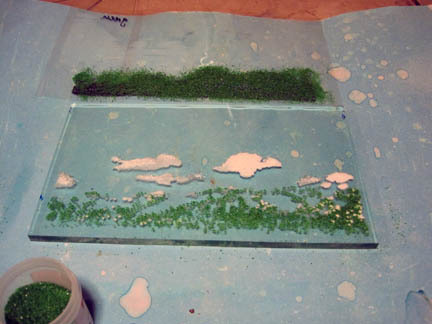 This is the green “plate” printed of transparent plastic prior to being perforated. Here are the four different color “plates” that have all been perforated with a million 1/16″ holes to let the frit through. 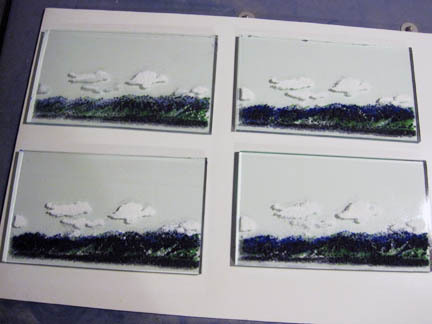 Base glass cut into the appropriate sizes. 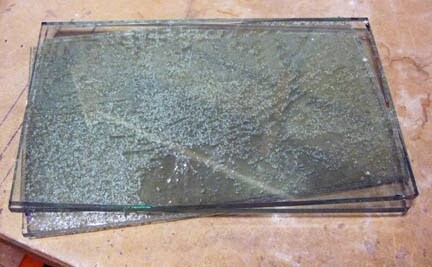 The glass was recovered from a sign company that was going out of business. 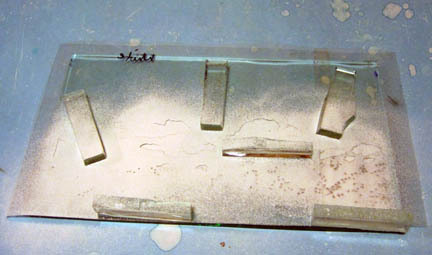 Originally these were large glass panels with shopping mall names on them. It looked like they had probably been used for a trade show exhibit. 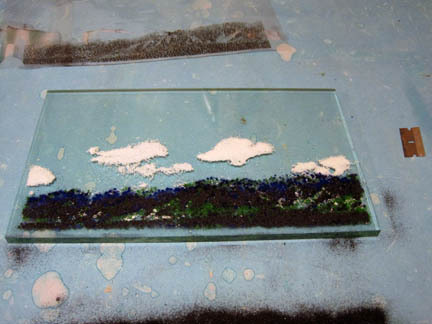 Since I wanted the color to be on the back of the glass, I had to build up the image in the reverse order, i.e. white first, then blue, green and black. 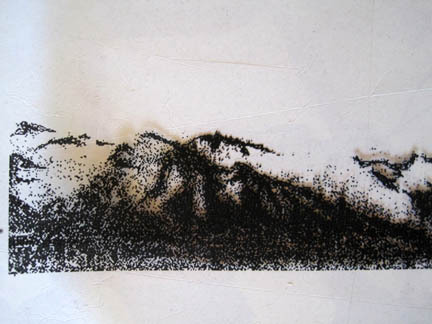 Here the white frit has been applied over the stencil. 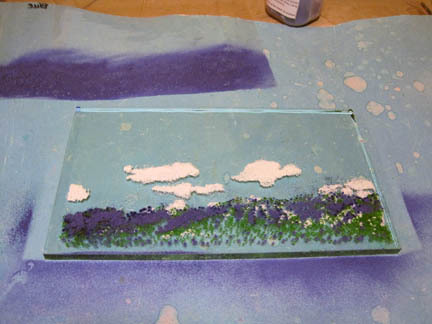 The blocks of glass you see are holding the stencil flat against the glass. With one extra, just in case. It often saves time in the long run to do an extra from the start. 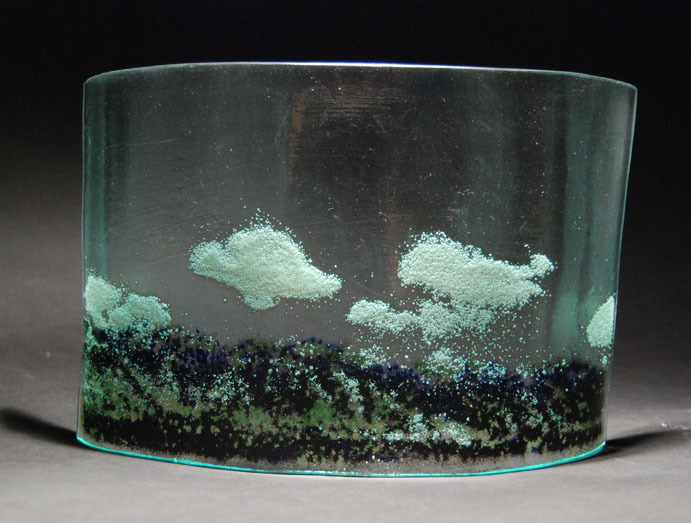 Here is the finished award, after firing and slumping. Of course, what are awards without an awards ceremony? 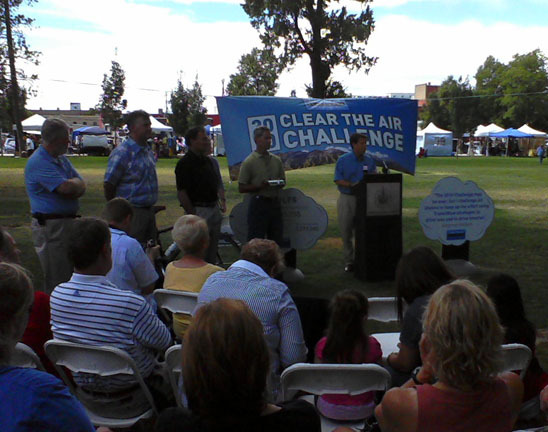 Here is Mayor Becker with an award in his hot little hands, ready to give away. 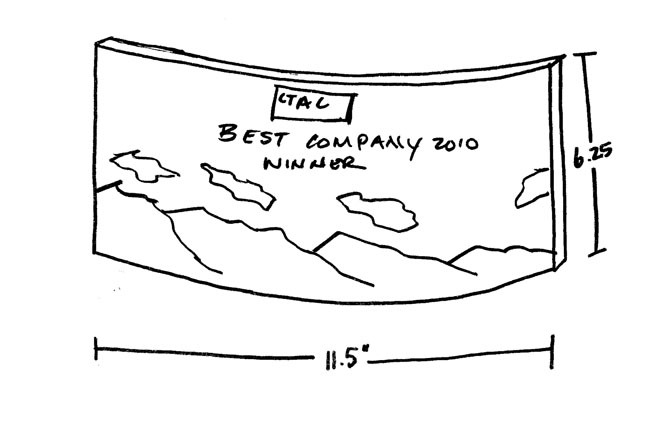 2010 Top Small Company Lloyd Architects. Congratulations Lloyd and crew! 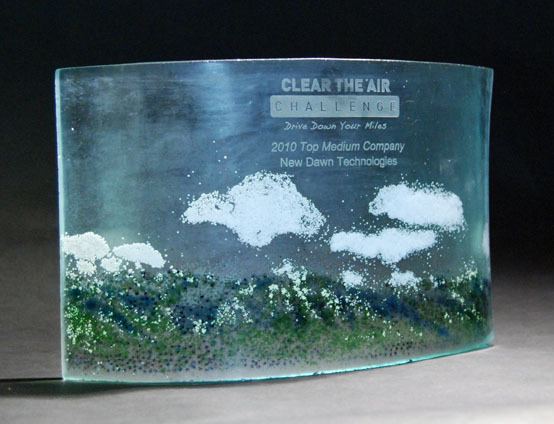 2010 Top Medium Company: New Dawn Technologies. 2010 Top Large Company: ADP, Inc. Excellent project wrap up team, take a break.